Ask any business owner, marketing guru, or graphic artist, and they’ll tell you that designing a logo that encompasses all of your dreams is hard. So many great ideas get thrown away because they’re a touch-off here or a shade-off there. And it’s the person behind the idea’s job to see that what’s left is greater than the sum of its parts. Just like for a business, the same principle about a good logo holds true for any show production as well. This movie was so big that a creating a Broadway musical featuring its tunes was a no-brainer even though they had a pre-existing challenge of bringing a fully-animated feature film to a real-life stage. So it’s understandable they had to make sure this musical stands on it own. 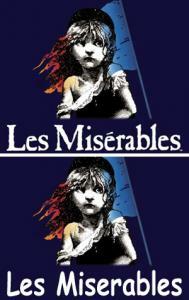 Take a look at the 2 logos shown to the right (one is for the film and the bottom version is for the Broadway show): the text treatment for this logo is quite a bit different than the film version, right? Just the font change alone makes the show fun and playful, yet kind of serious. It’s a lot more lively than the film version, and that’s because they needed to show that it would be warm, worldly, and family-friendly. 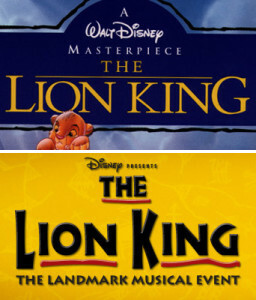 Now, arguably, based on how well The Lion King movies had performed, people would have attended this show even if the logo was made in the font that everyone loves to hate – comic sans. Can’t picture it? Here, I’ve created a version of The Lion King in comic sans. You can tell that the different font in the left image just doesn’t cut it, but it nearly does. This production’s logo shows everything you need to know. A young, red-headed girl, who is very comfortable in her own skin, and who’s reputation is rather big, is the sole focus. And the font choice tells you it was probably created back in the big-lettered heyday of the late ‘70s. 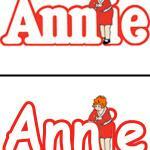 Here it is in regular, and Annie in comic sans. Not the same effect, right? Looks a bit too hokey. This logo stuff is hard. In sticking with the child-focused aspect of the above two shows (albeit this show is way heavier than the two previous ones), here’s the epic Broadway show Les Miserables. The use of the red, white and blue French flag bringing out the only color on the young girl’s head is pretty striking, and it encompasses the show with just one look. The style of the drawing of the child is black and white, and her expression looks less than encouraging. Immediately, you believe that it’s going to be a tragic story, set back in time. Pair that with the fact that “miserables” is pretty obvious as to what it translates to, and you have all that you need to know.You can practically start to put some of the story together in your head. Now, take a look at comic sans version. That just seems wrong, by comparison, doesn’t it? Those are just a few of the many great, show logos out there. What do you think? Do you have any logos you’d like to see get the “Comic Sans” test?